Join the National Electrical Contractors Association (NECA) in celebrating Electrical Safety Month by attending the electrical industry’s premier safety conference for 2019. For more information contact Wes Wheeler at wesley.wheeler@necanet.org. Note: You will need your NECA userID and password to register for this event. For assistance, or more information contact Aga Golriz at 301-657-3110, or select the forgot my username/password option. Not a NECA Member? First timer? Click the “new user option” if this is your first time registering for a NECA meeting, then, select “Don’t Know ID/Phone” when registering yourself as a new user. If you are not a NECA member, please contact Aga Golriz for assistance in registering for this event. 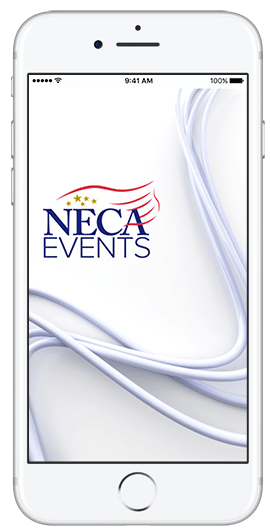 Once you receive your username/password visit NECASafetyConference.com again and click “Register Now »”.